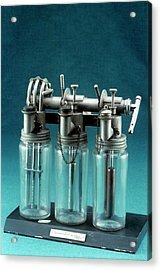 Boyle's Apparatus For General Anaesthesia is a photograph by Science Photo Library which was uploaded on July 24th, 2016. 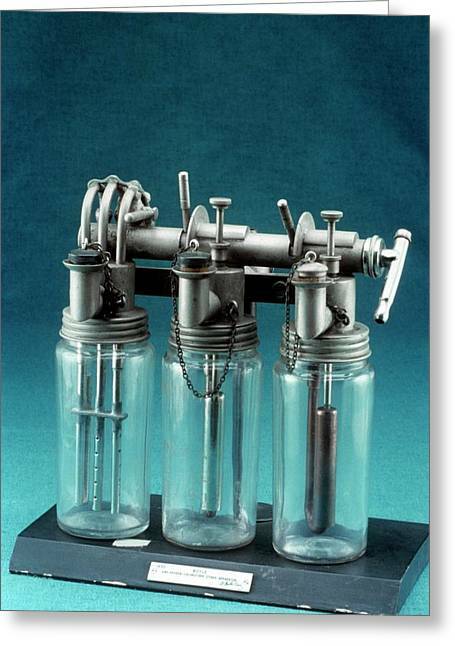 Boyle's apparatus. 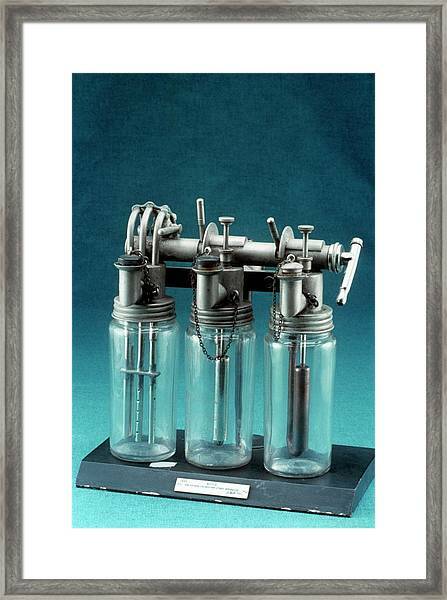 These bottles are part of a continuous flow anaesthetic machine developed by Dr. Henry Boyle (1875-1941), a leading English anaesthetist. 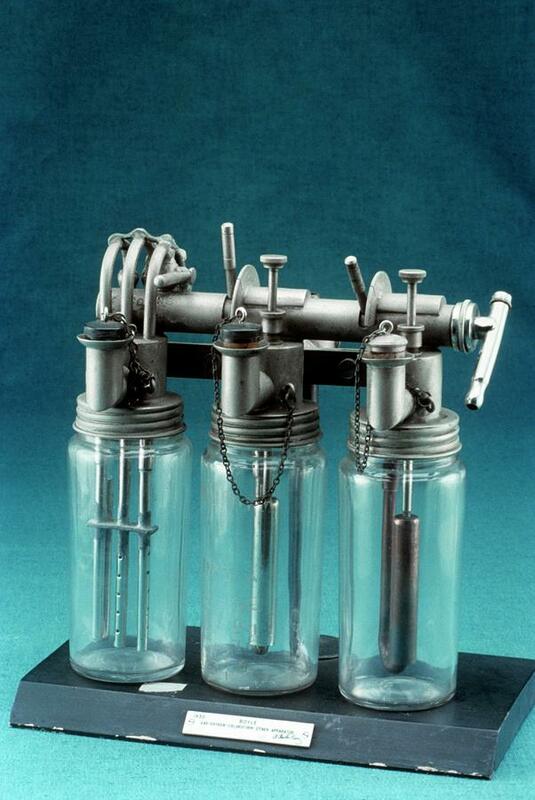 Boyle invented the nitrous oxide, oxygen and ether machine in 1917. Oxygen and nitrous oxide were supplied from cylinders to the machine at an accurately controllable flow. 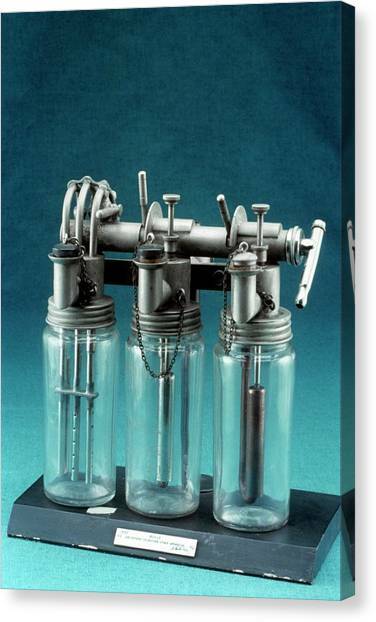 The gases were passed through a 'bubble through' bottle via perforated tubes in a glass mixing chamber containing water, and mixed with ether vapour, before being delivered to the patient. The system had the main elements which are still present in modern machines; providing an accurate and continuous supply of medical gases mixed with an accurate concentration of anaesthetic vapour (ether), delivered to the patient at a safe pressure and flow. Boyle's machine, which was based on the earlier Gwathmey-Woolsey apparatus, became the best known continuous flow anaesthetic machine. This model is from 1930. 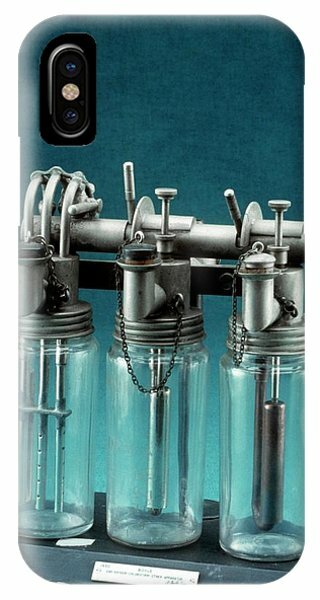 There are no comments for Boyle's Apparatus For General Anaesthesia. Click here to post the first comment.